N A I L S B Y J E M A: Merry Christmas! My Last Christmas Nails. I have a quick overview post for you guys of my nail art from the last couple of days. I'm currently in Sydney visiting family and have limited access to the internet and limited time for the laptop. We drove down to Sydney from the Gold Coast (Google maps tells me it's 859km or 533.75 miles) but we stopped overnight half way down to break the drive since holiday traffic is a nightmare. We are here for 3 crazy busy days then are driving home over two days again, but this time staying overnight with family. I'm exhausted because we have not stopped since arriving. Anyway, I have two nail designs. One posted on Instagram yesterday and the other today for Christmas. 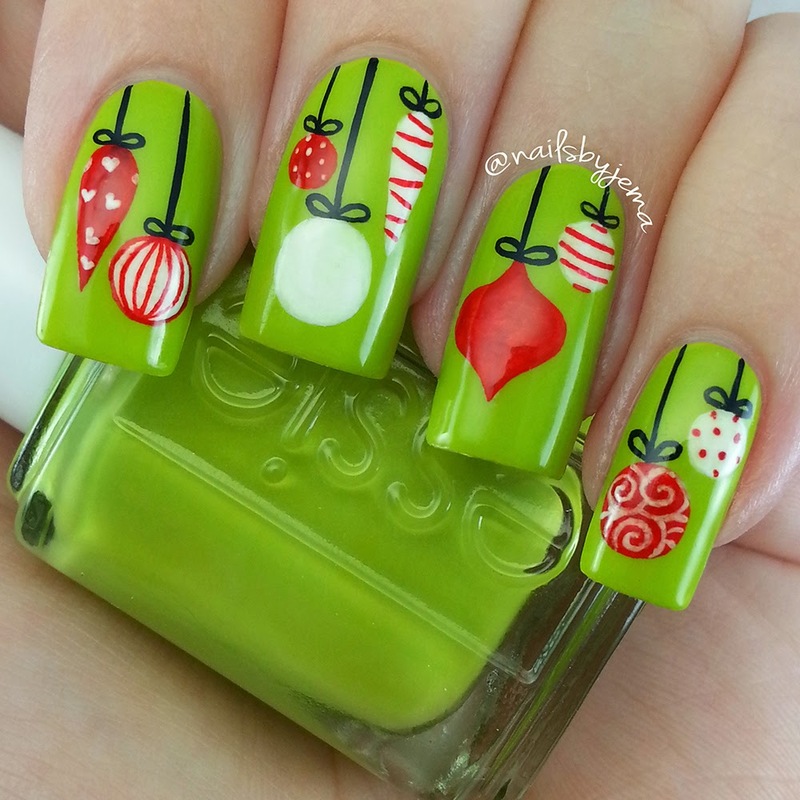 The first are these bauble nails. These are acrylic paint baubles painted on Essie 'The More The Merrier'. Sorry guys there is no tutorial for these. I used my Edinburgh Realism M0 brush from @faburnails for all the detail work. It's an amazing brush and I recommend buying it if you need a brush to do small detail work. 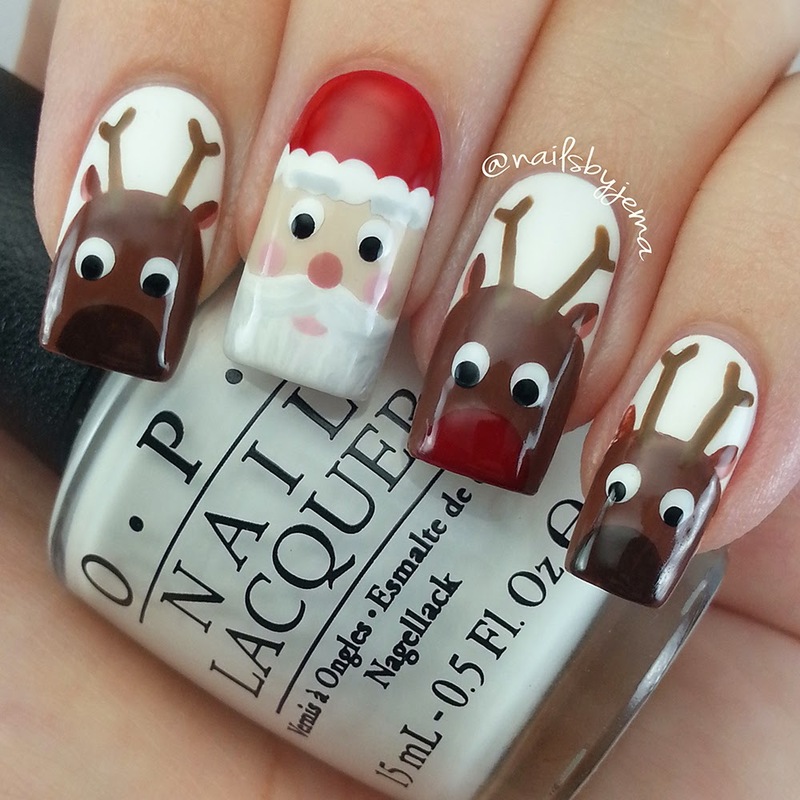 And secondly, these cute Santa and reindeer nails! These were all done with nail polish and unfortunately I didn't write the names of them down. Sorry guys. I hope you all have a fantastic day with family, eating delicious food and opening lots of presents. This year has been amazing for me, and it's all thanks to YOU!